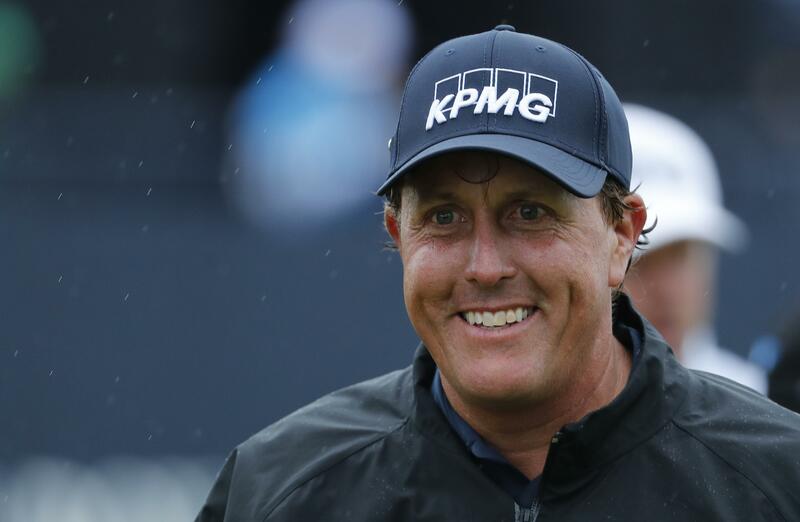 Fri., July 15, 2016, 2:07 p.m.
TROON, Scotland – Phil Mickelson has nearly everything going his way at this British Open. He has control of his shots and the flight of his ball in the wind and rain. He has the lowest 36-hole total at Royal Troon. He even caught a break with the weather, his black rain suit coming in handy only over his final 10 holes Friday. Published: July 15, 2016, 2:07 p.m.